Located in the Montreal Arc'teryx store, the new Beta Lounge is a multi-use space for the local climbing and outdoor community. 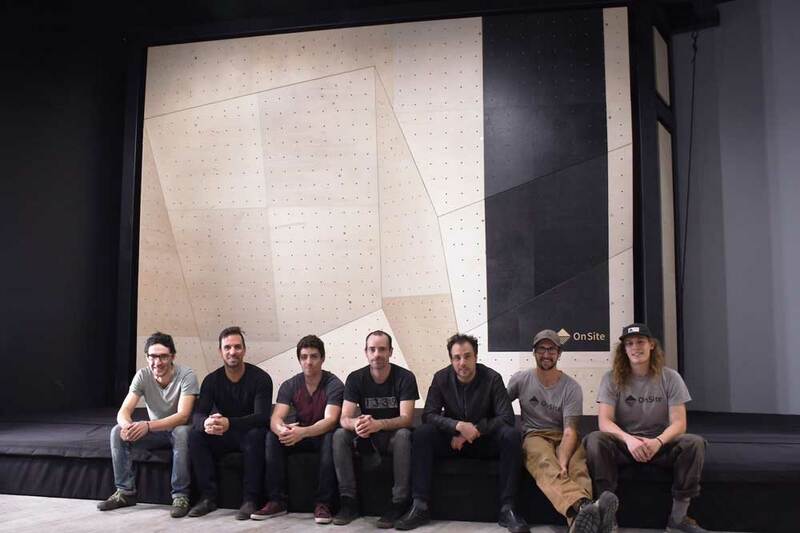 We caught up with Nicolas Capuano and Francis Larose from OnSite and discussed the challenges of building a climbing wall in a retail space, the creation of a versatile padding system and the community benefits that will come from the Beta Lounge. Congratulations on working with Arc’teryx on their new Beta Lounge project. Can you describe the concept for the Beta Lounge? OnSite: Arc’teryx’s heritage is as a climbing brand. Even though their product line has expanded over the years to include other sports, climbing is still part of their brand DNA. 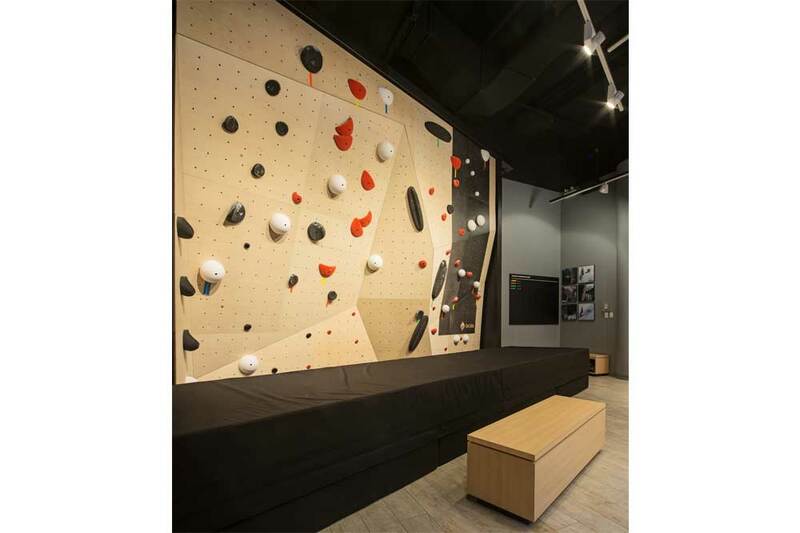 As such, Arc’teryx wanted to show their commitment to authentic outdoor sports in an urban environment by opening a bouldering wall and partnering with a local climbing gym to provide a valuable resource for the local community. 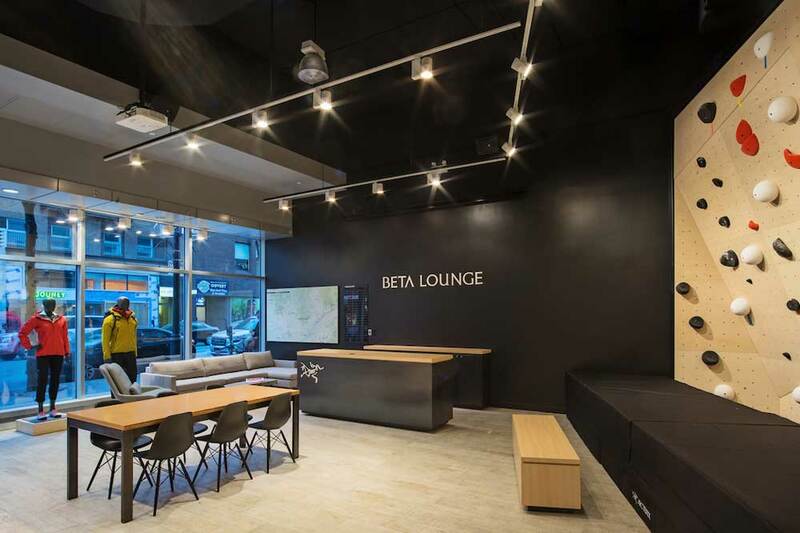 The Beta Lounge is a multi-use space which aims to strengthen and grow the Montreal Arc’teryx community. It will provide guidebooks, maps, equipment maintenance tips and repair benches, and a local conditions board. In addition, it will host scheduled talks and events. The Beta Lounge is a hub that will bring the outdoor community together to share information and build enthusiasm as well as help generate interest in outdoor sports like climbing, backcountry skiing and alpinism. Where is the Beta Lounge located? OnSite: The Montreal Arc’teryx Brand Store is located at 1515 Sainte-Catherine Street Ouest, in the Concordia Building at the corner of Sainte-Catherine Ouest and Mackay, near the Guy-Concordia Metro station. And what about the wall itself? 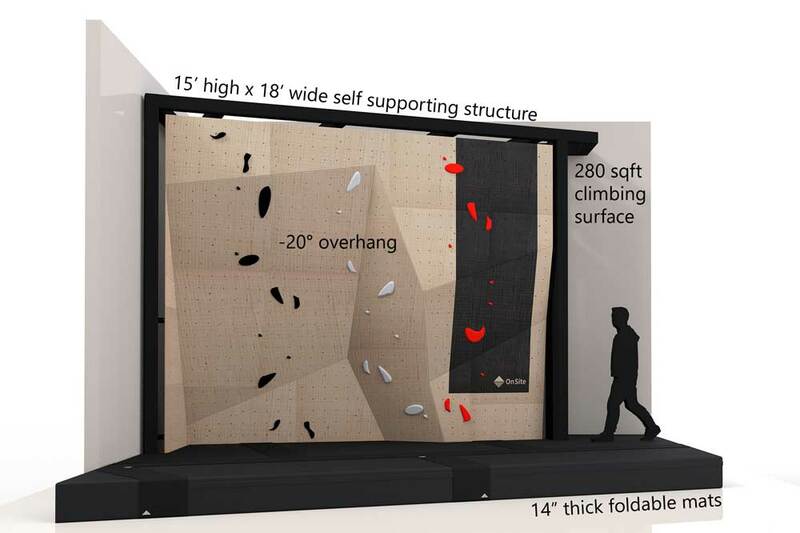 OnSite: This is the first permanent climbing wall in an Arc’teryx retail space. Arc’teryx has a bouldering gym in their own Design Centre as well as a collaboration space within The Hive Bouldering Gym in North Vancouver, but this wall is unique in that it is the first consumer-oriented bouldering wall in their retail space. They have had partnership events featuring temporary outdoor climbing walls, but nothing permanent. Arc’teryx is dedicating about 1000 square feet of space to the community area in the Ste-Catherine store. This is the largest space of its kind in an Arc’teryx retail store. 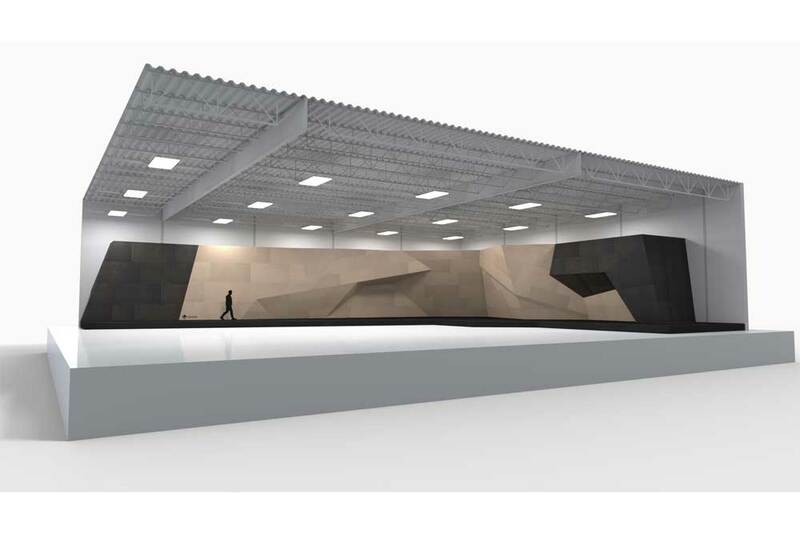 The climbing wall itself will have 300 square feet of climbing surface and take up almost 40 percent of the community area floor space. What were some of the challenges with building the wall in a retail space? 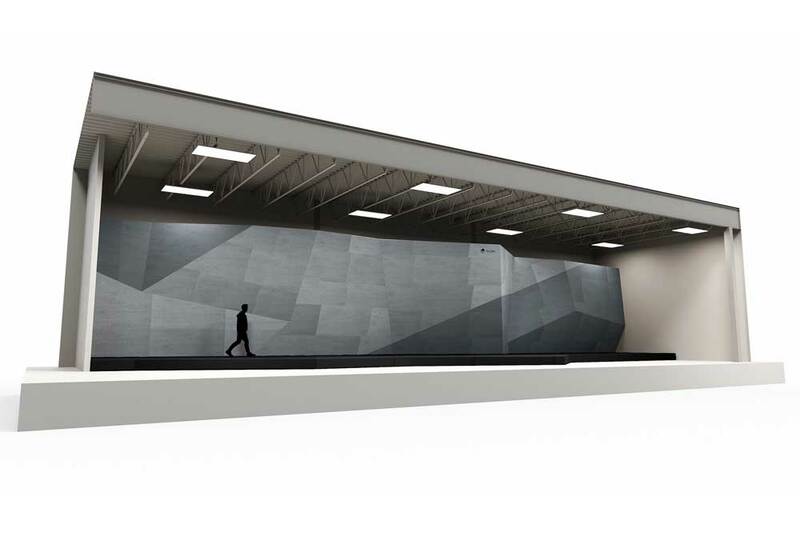 OnSite: This Signature Series bouldering wall was inspired by Arc’teryx’s existing store branding. The wall is visible from Sainte-Catherine Street, a key pedestrian artery in Montreal, and provides exceptional brand visibility and engagement. For OnSite, one of the challenges was to design a self-supporting and functional wall in tight space. We worked hard to create a variety of angles despite such a relatively confined area. 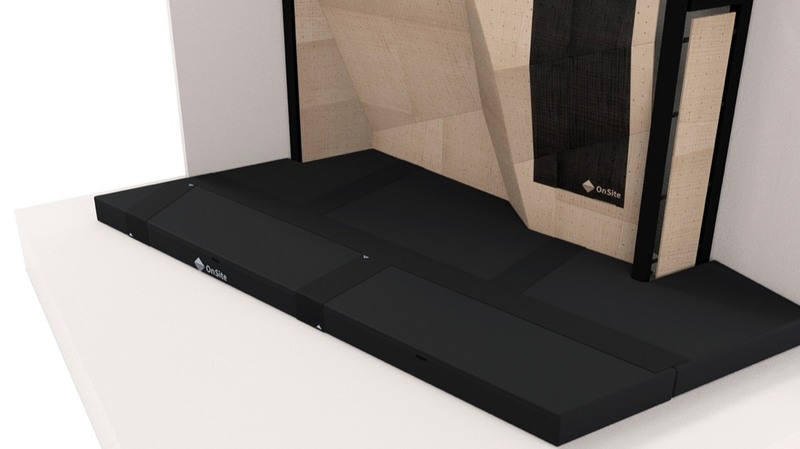 Tell us about the landing mats for the wall. I hear that you had to come up with some interesting solutions to deal with the smaller floor space. OnSite: Without a doubt, the biggest challenge was developing an appropriate landing-mat system. The mats consist of foam blocks that can be reconfigured, making the mat system modular and more versatile than traditional mat systems. 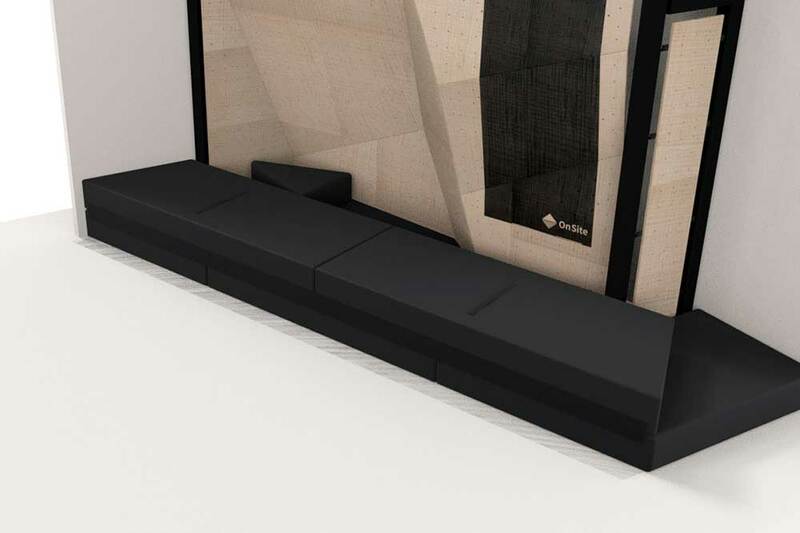 Arc'teryx can then rearrange the mats to create more space for presentations with the mats serving as a lounge-style bench. As a result of this innovation, we have added this new series of landing mats to our product line. Why do you think Arc’teryx chose OnSite to build the wall? OnSite: Arc’teryx wanted to support local manufacturing and help build a stronger local outdoor community. 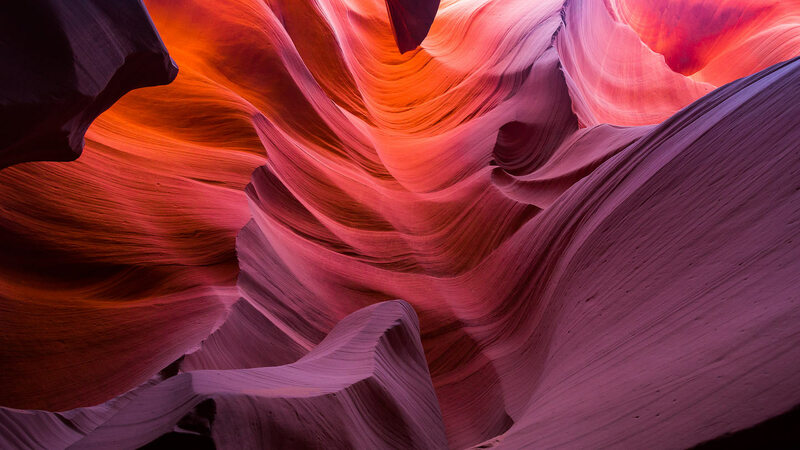 The connection between Onsite, the Allez Up climbing gym, and Arc’teryx helps support a network of grassroots climbers as well as the local climbing industry. They felt that our Signature Series wall was the perfect structure to complement the Arc’teryx brand. And our Flexible Series flooring was the only solution for the restricted area of the Beta Lounge. The collaboration between Onsite and Arc’teryx has been successful because we share the same design, craftsmanship and performance ideals and we want to help people grow and thrive by climbing. Both want to develop a dynamic community of urban climbers and promote climbing as a way to reconnect with nature. Any chance of more Beta Lounges popping up in other Arc’teryx stores? OnSite: The Montreal Beta Lounge is an evolution of the Arc’teryx community-space concept found in their other stores. Although there are no current plans for the next Beta Lounge, the success of the program could inspire more to be developed. The team relaxing at the Beta Lounge in front of the OnSite wall. Is OnSite working on any other wall projects at the moment? OnSite: We are working on L’Escarpé in Drummondville, QC. It’s a 2000 square foot Classic Series wall with Fix Series flooring. We are also building O’Bloc in Granby, QC. This is a 3700 square foot Signature Series wall with Fix Series flooring. Now that OnSite is selling landing mats as well as wall-building services, are you thinking about expanding your product line to include climbing holds? OnSite: We are working on volumes for spring 2018! Finally, do you (or the other folks at OnSite) have any climbing plans for the winter season? OnSite: Hell yeah! Francis Larose and Francis Paquette are heading down to El Potrero Chico for three weeks!